BOICE!! LET'S ROCK THE PARTY AT BLUE MOON!! Malaysia will turnings into BLUE on 24th Sept 2013 at Stadium Negara. Are you one of the "BOICE" of the day? I think this news wasn't fresh!! Because basically all k-pops fans in Malaysia knew this event well. So Yes!! CN Blue will be live performing at 24th August 2013 (Saturday) at Stadium Negara, 7.30pm onward. 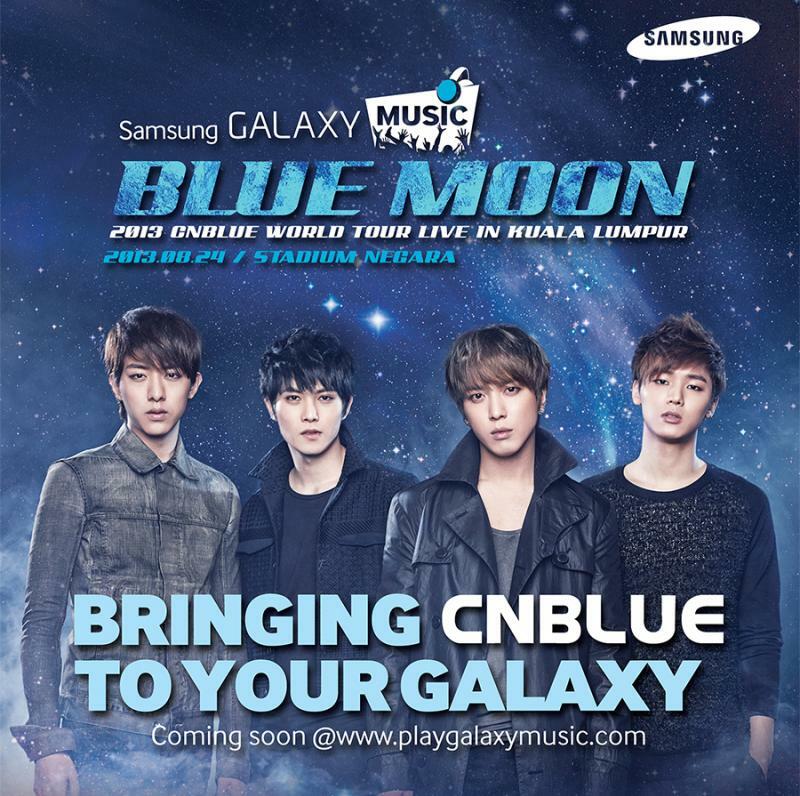 This concert is organized by Daol Entertainment and officially sponsored by Samsung Malaysia. CNBLUE is a South Korean rock band formed in Seoul in 2009. 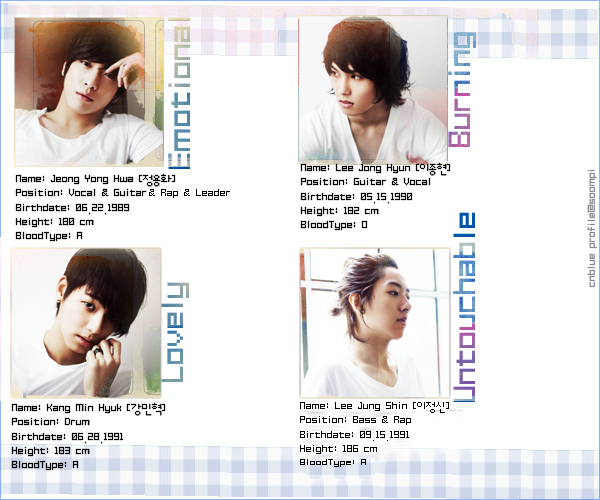 The band consists of Jung Yong-hwa (lead vocals, rhythm guitar), Lee Jong-hyun (lead guitar, vocals), Lee Jung Shin (bass guitar, vocals) and Kang Min-hyuk (drums, vocals). Their official fans club called Boice. CN is an abbreviation of 'Code Name' while BLUE is an abbreviation of the members’ individual images. — 'Emotional' represents Jung Yong-hwa. CN Blue debuted on August 19, 2009 in Japan with their first mini album, Now or Never. They released four teasers for their 1st Korean mini album Bluetory. Move to year 2010, the highly anticipated official music video for the unforgettable title track, ‘I’m a Loner’ was later released just before the launch of their debut Korean mini album, titled, ‘Bluetory’ on January 14th, 2010 which quickly took the number one spot on the MNET real time charts, along with the second spot on the Hanteo Music Charts. CNBLUE were the only rookie group to do so in 2010 and they have grown into a worldwide phenomenon ever since. So Boice!! One more day to go to meet with CN Blue!! Show your awesomeness to them and feel live band excitement!! Let's rock the day in Blue!! Before end this post, would like to share a song, CN Blue version of Jason Mraz's - Geek In The Pink.